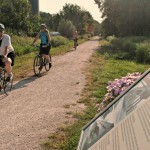 State and local bicycle and pedestrian advocacy groups, the Missouri Bicycle and Pedestrian Federation and BikeWalkKC, are joining forces with an array of agencies, organizations, and officials from the neighborhood level through city, state, and federal level to assess bicycle, pedestrian, and transit safety of a high-priority street in Kansas City. 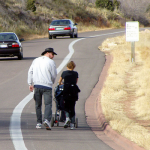 “Missouri roads and streets can be made much safer for all of us who walk and bicycle in our communities and neighborhoods,” said Brent Hugh, Executive Director of the Missouri Bicycle and Pedestrian Federation. 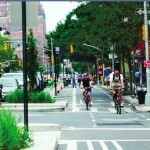 The safety assessment, to be held Friday, March 27th, is part of a major coordinated national effort called “Safer People, Safer Streets” that is organized under the direction of U.S. Secretary of Transportation Anthony Foxx. Similar safety assessments are being held in communities large and small nationwide, in all fifty states. All assessment reports are forwarded directly to Secretary Foxx for his review. The safety assessment is part of a larger effort–Foxx has issued a Challenge to Mayors to improve safety for biking and walking (six Missouri cities participating already) and has arranged for a series of cities across the nation, including Kansas City, to develop Pedestrian Safety Action Plans. The team leading Friday’s Safety Assessment hopes to be able to complete further similar Safety Assessments in Missouri later this year. 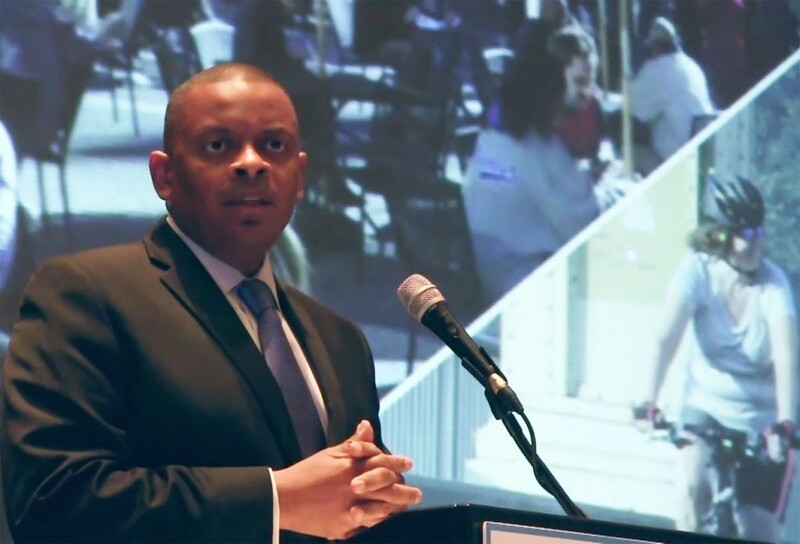 KANSAS CITY, MO – In September 2014, Secretary of the United States Department of Transportation Anthony Foxx launched Safer People, Safer Streets with the goal of reducing the growing number of pedestrian and bicycle injuries and fatalities across the United States. As part of the 18-month initiative, all 50 States will conduct road safety assessments spearheaded by various DOT modes. Approximately 45 persons from neighborhoods, special interest organizations, Local, State and Federal agencies will gather on March 27, 2015 to conduct the Missouri Pedestrian/Bicycle/Transit Safety Assessment on the Prospect Avenue Corridor from 22nd St. to 39th St. in Kansas City. Teams of walkers, bicycle riders and public transit users will perform a safety assessment. The three teams (about 15 individuals on each) will conduct on-site assessments (on foot, and on bicycles) noting safety and mobility issues for pedestrians, transit users,and bicyclists and to identify potentially dangerous safety gaps within the Prospect Avenue Corridor. Each team will have a checklist from which they will conduct their assessment. 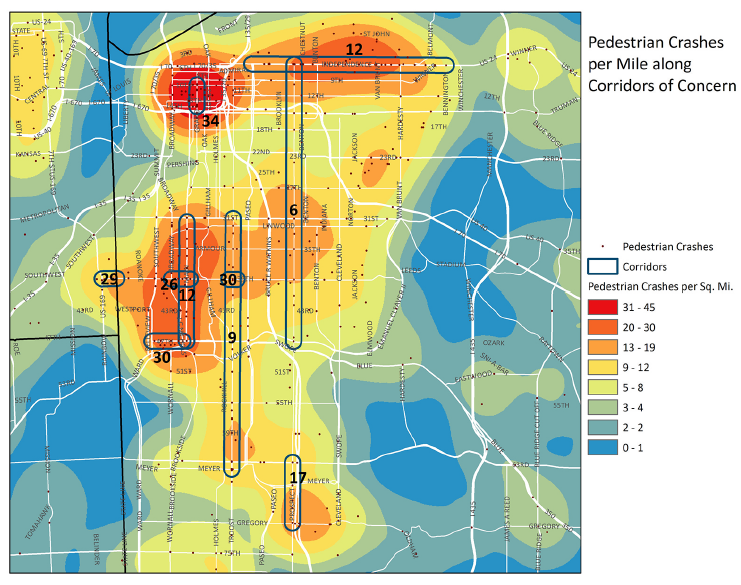 The corridor being assessed has been identified as a “Corridor of Concern” by the Mid-America Regional Council due to the high number of pedestrian crashes there. 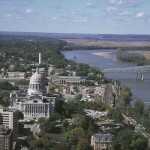 Following the assessment, the groups will reconvene to discuss findings that will be compiled and presented in a report to US DOT Secretary Foxx, the City of Kansas City, Missouri and to the KCATA. Nationally, fatalities and injuries among pedestrians and bicyclists are on the rise even as fatalities and injuries among all transportation users are declining. In 2012, 4743 pedestrians and 726 cyclists were killed in collisions with motor vehicles, — more than a 15% increase from 2009. 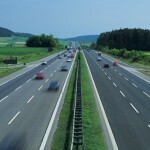 Pedestrians represent 14% of all people killed in motor-vehicle crashes. 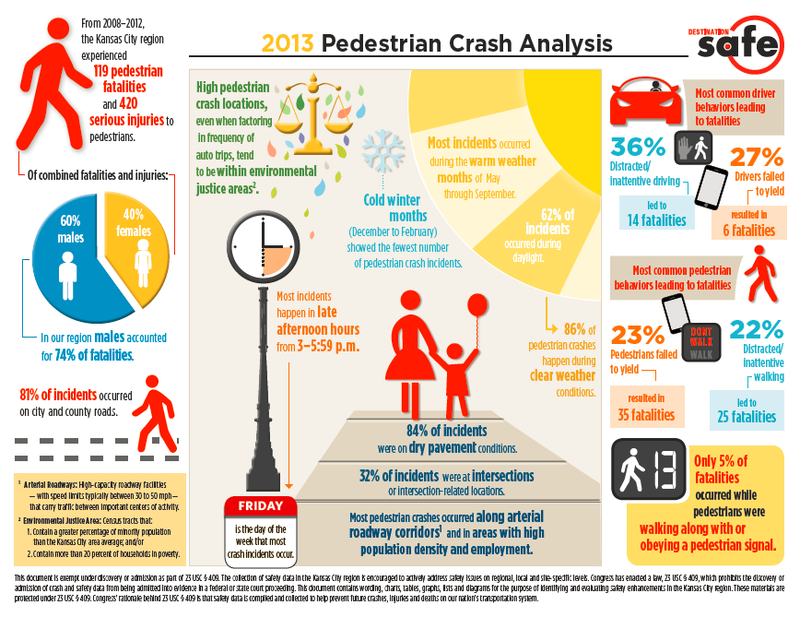 Pedestrian fatalities occur disproportionately in low-income areas. High income areas have half as many pedestrian deaths as low income areas where people more likely rely on walking, bicycling and transit to access jobs, school, retail and health care. Lower income neighborhoods are less likely to have sidewalks and other pedestrian infrastructure. There were 1,088 pedestrian-motor vehicle crashes in the City of Kansas City between 2009 and 2013, which represent 1.3 percent of all crashes during that period. Pedestrian-motor vehicle crashes tend to be more severe than other crashes – despite representing only 1.3% of all crashes they comprise 19% of all fatalities and 9% of all injuries in the city.